Although acne is generally considered a teenager’s problem, nothing could be further from reality. More adults than ever are experiencing routine breakouts, which can often be linked to stress, hormonal fluctuations, or genetics. No matter what your age, chronic acne or severe breakouts can result in permanent skin discoloration or acne scars. 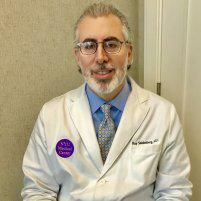 From his top-rated practice in Manhattan, New York City, board-certified dermatologist Roy Stern Seidenberg, MD provides comprehensive care for patients with acne. Call or book your appointment online today. Acne is generally caused by hair follicles that have become plugged with oil and dead skin cells. It most often appears on the face neck, chest, back, or shoulders. Acne can become deeply inflamed or turn into painful cysts when p. acnes, the bacteria that lives on your skin, get inside oil-clogged pores and multiplies. Even though acne is more common among teenagers, the problem is affecting a growing number of adults. More women, in particular, are experiencing breakouts in their 30s, 40s, and even 50s. Why is acne treatment important? A chronic acne problem can seem like a never-ending cycle — just as one breakout clears up, a new one emerges. Letting acne run its course may seem like a reasonable solution, but allowing a severe or persistent problem to go untreated can lead to permanent skin flaws, including dark spots and scarring. Starting a customized acne treatment protocol as early as possible can lower your risk of lasting damage. Effective treatment plans usually combine personalized skincare recommendations with in-office treatments. Customized chemical peels, for example, can improve the texture of your skin and help eliminate breakouts. Doctors often prescribe oral medication for more severe cases. Even though acne can’t be cured, you can take steps to minimize it and keep it under control. What causes acne scars to develop? As a breakout clears, your body grows collagen to support the healing process. If it produces too much collagen, it can cause raised acne scars; these scars are most often seen on the chest and back. If your body produces too little collagen, it can cause depressed acne scars, or small pits along the surface of your skin. Depressed acne scars usually appear on the face. What are some acne self-care strategies? Wash your skin twice a day, as well as after sweating. Use your fingertips to gently apply a non-abrasive cleanser. Use alcohol-free products that don’t irritate your skin. Avoid scrubbing your skin, which can worsen acne. Keep your hands off your face, and don’t pick at pimples. Minimize your sun exposure, especially if you take medication. If acne makes you feel self-conscious, it’s important to remember that virtually all cases can be managed successfully. Dr. Seidenberg can treat existing acne, prevent breakouts, and reduce your risk of developing scars.